Nice clean level site,facilities also very good.Location and nearby town centre was very welcoming too. All in all can reccomend to all. 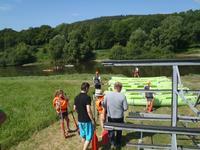 How was your holiday at Campingplatz Hann. Münden?